Phytotoxicity of a surfactant-containing product towards macrophytes. Russian Journal of General Chemistry. 2013, Volume 83, Issue 13, pp. 2614-2617. S. A. Ostroumov, E. A. Solomonova (Moscow State University). Extending the studies of surfactant-containing products, we have investigated the effect of the Liquid Crystal Concentrate detergent on aquatic macrophytes Elodea canadensis within laboratory microcosms. 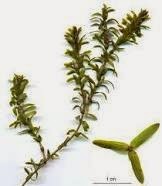 It has been shown that the detergent produced some negative influence on the macrophytes at 50–150 μL/mL (5–15 vol %). Original Russian Text © S.A. Ostroumov, E.A. Solomonova, 2012, published in: Ekologicheskaya Khimiya, 2012, Vol. 21, No. 2, pp. 112–116. Ostroumov, S.A., Vest. Mosk. Gos. Univ., Ser. 16: Biologiya, 1990, no. 2, p. 27. Ostroumov, S.A., Biologicheskie effekty pri vozdeistvii poverkhnostno-aktivnykh veshhestv na organizmy (Biological Effects of Surfactants on Organisms), Moscow: MAKS-Press, 2001. Ostroumov, S.A. and Solomonova, E.A., Toksil. Vest., 2010, no. 2, p. 10. Ostroumov, S.A. and Solomonova, E.A., Toksil. Vest., 2007, no. 1, p. 40. Ostroumov, S.A. and Solomonova, E.A., Toksil. Vest., 2009, no. 3, p. 489. Solomonova, E.A. and Ostroumov, S.A., Toksil. Vest., 2009, no. 2, p. 32. Aizdaicher, N.A. and Markina, Zh.V., Biologiya Morya, 2006, vol. 32, no. 1, p. 50. Fisher, N., Maertz-Wernte, M., and Ostroumov, S.A., Izv. Akad. Nauk, Ser. Biologicheskaya, 1996, no. 1, p. 91. Markina, Zh.V. and Aizdaicher, N.A., Biologiya Morya, 2005, vol. 31, no. 4, p. 274. Ostroumov, S.A., Moscow University Biological Sciences Bulletin, 1990, vol. 45, no. 2, p. 26. Ostroumov, S.A., J. Am. Chem. Soc., 1992, vol. 203, no. 1, p. 302. Ostroumov, S.A. and Khoroshilov, V.S., Izv. Akad. Nauk, Ser. Biologicheskaya, 1992, no. 3, p. 452. Ostroumov, S.A. adn Maximov, V.N., Izv. Akad. Nauk, Ser. Biologicheskaya, 1991, no. 4, p. 571. Ostroumov, S.A. and Samoilenko, L.S., Vest. Mosk. Univ., Ser. 16: Biologiya, 1990, no. 3, p. 74. Ostroumov, S.A. and Semykina, N.A., Russian Journal of Ecology, 1993, vol. 24, no. 6, p. 386. Ostroumov, S.A. and Tretyakova, A.N., Russ. J. Ecol., 1990, vol. 21, no. 2, p. 79. Waterbury, J. and Ostroumov, S.A., Microbiology, 1994, vol. 63, no. 2, p. 140.